What majority of the people don’t know is, Windows 7 has a built in image burning tool . The built in Image burner in Windows 7 provides a hassle free method to burn image (ISO, IMG) files off your computer. To burn an ISO or image file you need to select an ISO or IMG file and right click on it, select Open with from the context menu and choose Windows disc image burner tool. 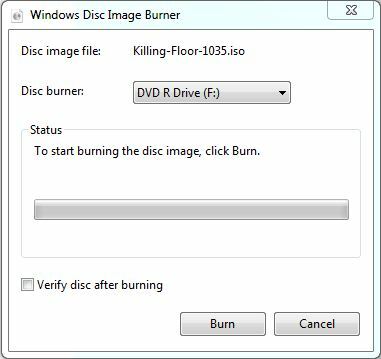 From the popup on your screen, select the DVD burner drive and click on Burn to start burning the image file to a disk . Now that’s an easy to burn a file! While there are other apps like Nero , alcohol 120% and many more for burning more all types of image files, the built in image burning tool on windows 7 provides a easy and hassle free way to burn ISO files .